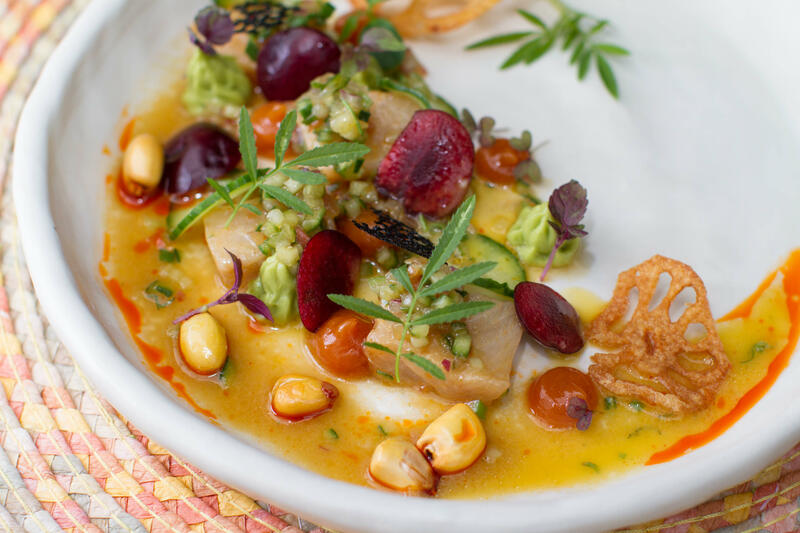 "Roast Pig + Ceviche: Peruvian Style." Meet Chef Miguel Aguilar + Ceramic Artist Alyce Barr; demonstrating how artists compliment each other with food styling and plating. With special guest Jessie Sheehan, Baker Extraordinaire (she's bringing dessert!). The Roof (at Whole Foods Market - 3rd St & 3rd Ave; Brooklyn). Meet Chef Miguel Aguilar (Surfish Bistro)+ Ceramic Artist Alyce Barr; demonstrating how artists compliment each other with food styling and plating. With special guest Jessie Sheehan, Baker Extraordinaire (she's bringing dessert!). Your ticket includes Roast Pig; Ceviche, 2 Sides, Dessert from Jessie Sheehan & Complimentary Organic Ice Tea. Cash Bar. 6 p.m. to 10:30 p.m. This event is a part of the 2017 Brooklyn Clay Tour. Event Sponsors: Whole Foods Market, Gotham Greens, SerendipiTea, D'Artagnan, Gowanus Wine Merchants, Rolling Press, and Tanis Design.